As we begin the second semester here at the University Of Aberdeen’s Library Service we would like to extend a warm welcome to all new and returning students. 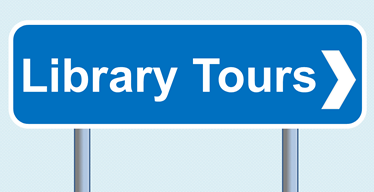 There is no need to book in advance for these tours, just come along to the ground floor of TSDRL at 10am or 2pm and staff will be waiting to show you round our stunning library. The tours will take place on Thursday January 10, Friday January 11, and then throughout all of next week, with the last tours being offered on Friday January 18. There will be no tours at the weekend. So, if you are looking for a peaceful break from what can be a hectic start of term, pop along to the quiet of the library for a tour and learn what we can do to help you as you begin, or continue, your studies.